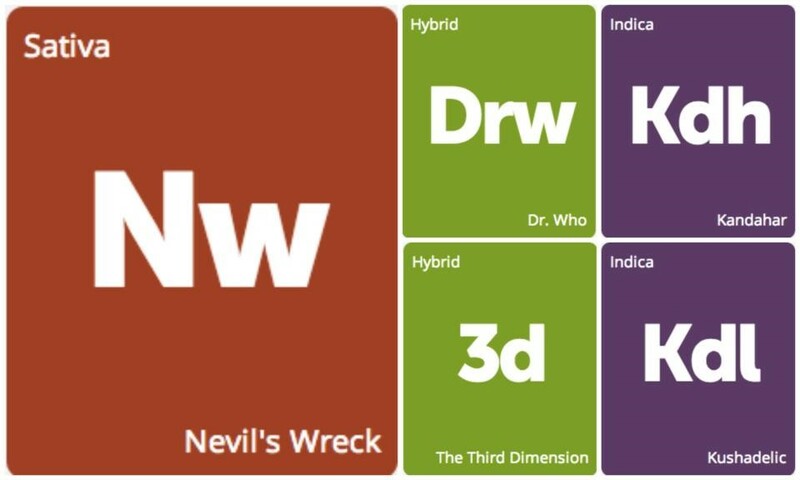 The Third Dimension, also known as 3D, from Subcool's The Dank combines the best of three potent parent strains: Apollo 13, Jack’s Cleaner, and Space Queen. This sativa-dominant hybrid will gently lift you into a creative cerebral space devoid of stress, and with larger doses comes the more powerful metaphysical experience implied by 3D’s name. It may be difficult to resist the pungent, fruity aroma of mango, pineapple, and lemon, but novice cannabis consumers are urged to approach this heavy-hitter with caution. Growers praise 3D for its short maturation cycle that gives rise to moderate yields of sharply pointed buds blanketed in resin following an indoor flowering time of 45 to 50 days.